Embraer has delivered the 1,000th E-Jet production aircraft, an Embraer 175 which the manufacturer handed over to Republic Airlines at the manufacturer’s final-assembly line at São José dos Campos in Brazil’s São Paulo state. 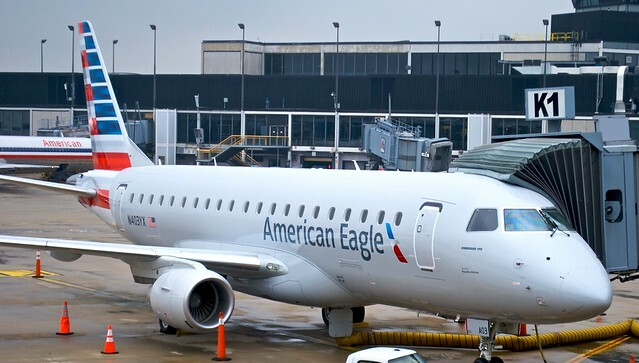 Republic Airlines, a subsidiary of Republic Airways Holdings Inc., will operate the Embraer 175 on behalf of American Eagle. The delivery is part of Republic’s order for 47 Embraer 175 jets, which was announced at the beginning of 2013. The contract also includes options to buy another 47 aircraft. Embraer’s relationship with Republic Airways Holdings dates back to 1999 when Chautauqua Airlines, also a subsidiary of Republic Airways Holdings, took delivery of its first Embraer ERJ-145, which was delivered in the livery of US Airways Express. In 2008, Republic also received the 400th production Embraer E-Jet. The Embraer E-Jets family entered revenue service in 2004 when the first aircraft, an Embraer 170, was delivered to LOT Polish Airlines. Currently, E-Jets are flying with 65 airlines from 45 countries. In June 2013, Embraer launched the second generation of E-Jets – the E-Jets E2 family – and expects the first to enter service in 2018. According to Embraer, its E-Jets currently hold a 50 per cent market share and account for 62 per cent of deliveries in the 70-to-130-seat category of commercial jets. Since January 2013, Embraer has received firm orders for more than 330 current-generation E-Jets and E-Jet E2s. With an average mission completion rate of 99.9 per cent and seven million flight cycles, the fleet of E-Jets recently reached the 10 million flight hour milestone. More than 460 million passengers have flown on Embraer E-Jets.